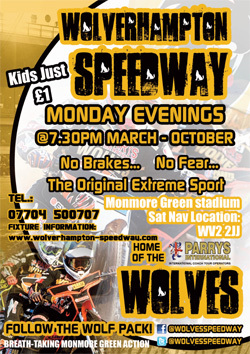 Wolves are still bidding to be hometown heroes after surrendering their top-flight title on a night of drama at Monmore Green. Their five-point 47-42 defeat to Swindon meant an agonising one-point overall win for the Robins. 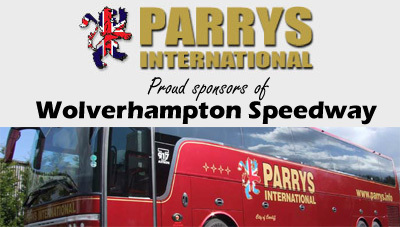 For the Parrys International Wolves, it would have been a fourth title of the play-off era which began 15 years ago – and the first to be clinched at home. The successes against Eastbourne (2002), Swindon (2009) and Belle Vue last year were all gained with the second leg on the road. But it was not to be as the home side, without injury victims Freddie Lindgren and Jacob Thorssell, needed a heat advantage in the very last race to retain their crown. Sam Masters brilliantly sliced his way past Nick Morris and the previously unbeaten Jason Doyle to hit the front. 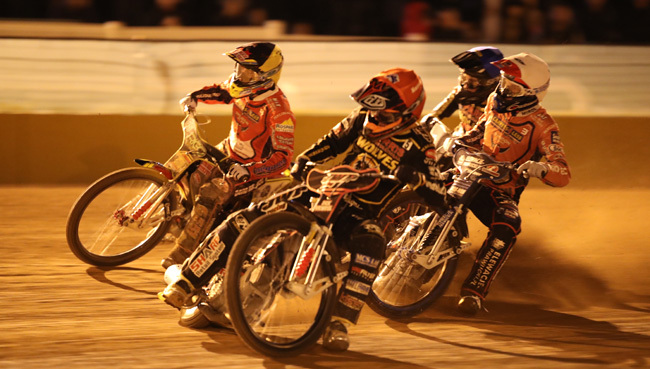 But stand-in skipper Rory Schlein could not land a blow at the back – and that was enough for the men from Wiltshire. Team boss Peter Adams revealed that the Aussie – a fine stopgap captain for Lindgren – was distraught at the outcome. “He's pretty beat up about the last heat, but he needn't be. He's really stepped up to the plate and been terrific for us all season long,” he said. “It's just unfortunate that in the killer race, he happened to be the rider at the back. Wolves' four-point advantage from the Blunsdon leg of the Premiership Grand Final was wiped out in one race after Doyle and Adam Ellis left guest Chris Harris trailing. 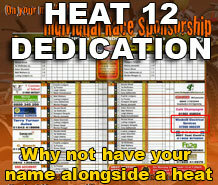 The home side responded, and after 10 heats were level on the night and still four points to the good overall. But Doyle looked in ominous form, and with Harris beset by mechanical gremlins – he used three different bikes – and a shadow of his customary Monmore self, the Robins could scent blood. A last-bend heat 13 pass by Morris on Masters to join Doyle at the front proved a crucial blow, putting Swindon a point up on aggregate. Schlein took the penultimate race, but with David Bellego and Bradley Wilson-Dean working their way past Nathan Greaves, Wolves were up against it going into the last. And so it proved. There's little time to reflect on the defeat as Wolves now try to garner some consolation in the Knockout Cup. They take a 28-point lead to Somerset for Friday night's semi-final second leg, with Belle Vue awaiting the winners. Should Wolves prevail, they will host the aces in the first leg on Tuesday before travelling to Manchester the following night for the return. 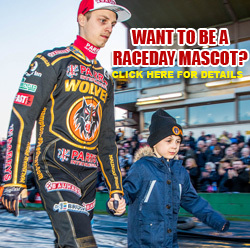 WOLVES 42: Sam Masters 12, Rory Schlein 10+2, Kyle Howarth 8, Nathan Greaves 7, Chris Harris 4+2, Mark Riss 1, Jacob Thorssell rider-replacement.